It’s time for another Adobe Illustrator Tutorial: How to create a broken glass text effect! This time we’ll create out of words a shattered or broken glass look. 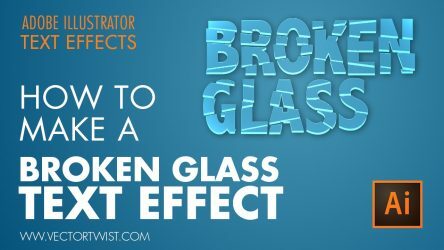 Use any text or shape you want and simply follow the video tutorial on how to make this broken up glass effect in Illustrator. Previous PostHow to Create the Impossible Triangle (Penrose) in Adobe Illustrator CC!